Remember that Smoked Pork Recipe from a few weeks ago? Get the recipe here. I had leftovers and decided to play around a little. 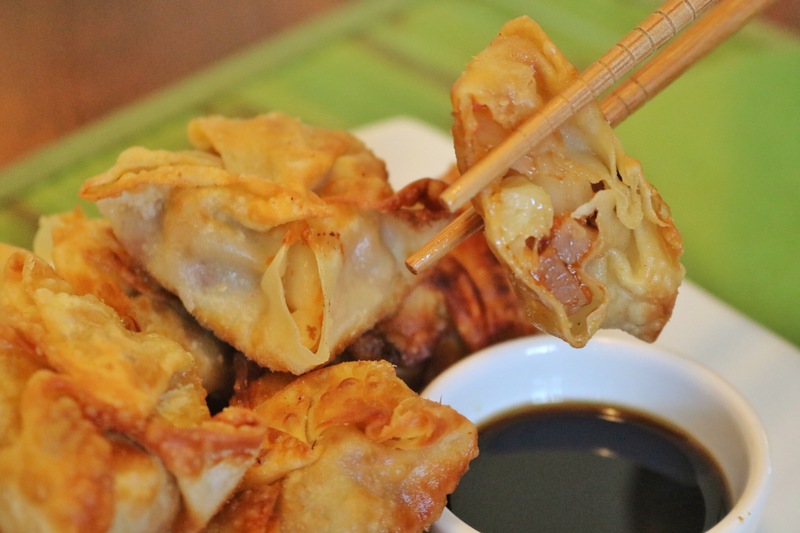 The result are these delicious wontons! 2. Mix the pork, cabbage, scallions, garlic, ginger, salt, smoked paprika, chili powder and sriracha in the skillet. 3. Stir until the cabbage become slightly soft. 5. Bring your cooking oil to heat to a temperature of 375 F.
6. Lay a wonton wrappers flat and dap a spoonful of the spicy mix into the center. 7. Wet your fingers and dampen the four corners of the wonton and fold each toward the center and pinch together upward like a circus tent. Repeat for each wonton until the mix is gone. 8. 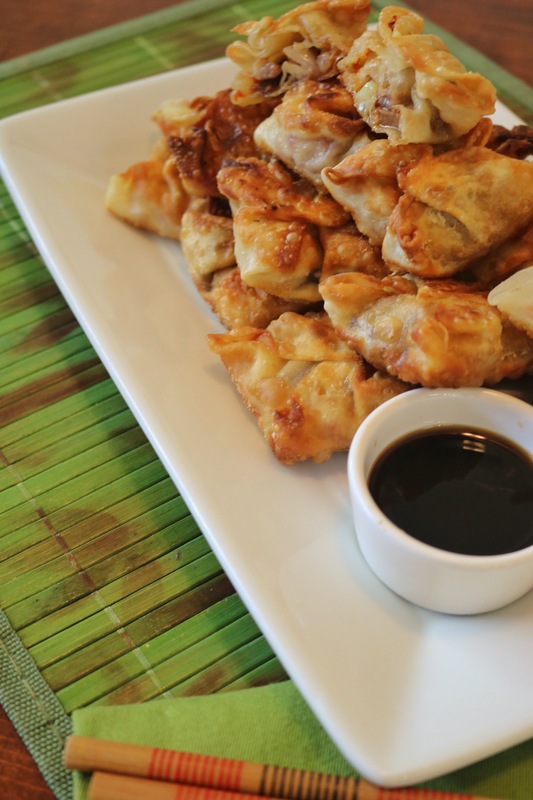 Once oil is to temperature, lay each wonton in the oil and flip once the bottom is brown. 9. Cook all remaining wontons and enjoy!! !